More often than not we see that most take Keyword Research for granted, especially Malaysian Companies. And what happens is companies neglect keyword research when they set up an online ad on systems such as Adwords. This produces catastrophic results like poor Clickthrough rate (CTR) and high Bounce Rates for companies. 30% of the world is on the net as shown here, don’t lose anymore. This is akin to pouring money into something that will ultimately cost them in the long run. This article is aimed at anyone, that needs help with Keyword Research, why it’s important and how to improve it. Do Keyword Research right and it will definitely help bring you closer to your goal, whatever it is. Or look for us and we can help you or check out what else our company can do here. The first piece of advice, Keyword Intent. It’s vital to understand what your viewers or customers want and what you have to offer to them. There are three general types of search query, Informational, Transactional and Navigational. Say you found this page, about Keyword Research and how it helps on Google’s Search Results, then your search query is an informational one. For the sake of convenience, we will only focus on Transactional Search Queries since it’ considered a high-value intent. They are the ones that bring instant immediate profit to your company through the selling of your goods online. The other two queries are considered low intent since its informational or just a means to find something. They will probably help with brand image and recognition but they won’t be buying anytime soon. So let’s say your companies sell foodstuff online, and purely is in the business of selling, not educating. So, in this case, the kind of keyword you should look for yourself are those of Transactional, not Informational. When creating your ad, aim for keywords such as “buy” or “Discounts”. This indicates that you are selling, not informing or educating a product and will lead potential buyers to your ad. 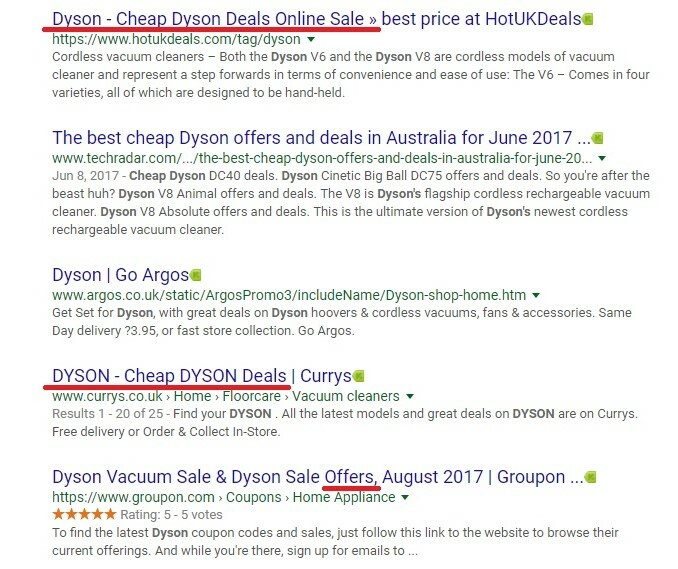 Note how some brands place keywords like “Cheap” and “Offers” into their headings. This tells Google or other search engines and viewers that the sites are selling. For other types such as Navigational and Informational, you have to imagine yourself as a visitor and how you would find what you think your visitors want. So the example for Navigational, it could be words like “login” or “home”. For Informational, it would be like “how-to” or ” why” or “reviews”. You’ll have to think of it yourself other variations. Mind you these are just the keywords that you add either to the front or back of your keywords. So a page like our “Our Work“, can be considered an Informational query that only appears when people look for it. You still need to find your keyword. This just helps with filtering people that you did not target, if the visitor doesn’t intend to buy, don’t show them a Transactional ad to click. That just adds cost since you won’t get a sale and they won’t find what they are looking for. Check out Wordstream’s post for a more in-depth look at keyword intent here. Now that we know how to filter visitors buying, researching or just being curious, we need keywords. This is where a lot of companies struggle. Most think that it’s simple, if I sell Sushi, then my keywords will all be Sushi with some variations. Close but not exactly, there’s a better, more efficient way than this and that’s by using tools such as Keyword Finder. 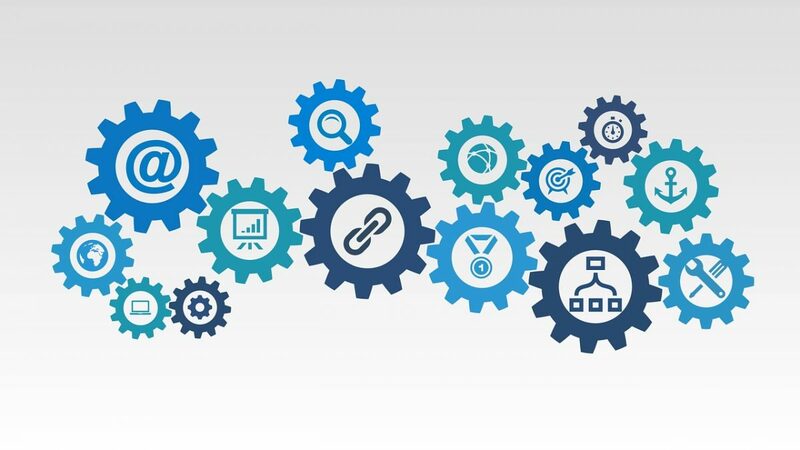 Generic terms, more often than not, will not lead to conversions such as sales or visits and therefore we need long-tail keywords to get them.Most users looking for generic terms might just be curious and usually do not lead to a conversion since they will be at the beginning of the conversion cycle. Long-tail keywords are specific keywords that are more detailed and elaborate. And if visitors look for it, there’s a chance it could lead to conversion as the visitor has an objective in mind. This is because they are now further up the conversion cycle and is keen to buy, not just to look around anymore. To use Keyword Finder, you’ll need a Google Analytics account and an Adwords account. Here are the links, straight from Google here and here. Anyways, look for the “Keyword Planner” tag within the tab that states “Tools” in Adwords and click on it. Setup the fields such as your site’s URL or whatever you are selling and click on the “Get Ideas” button. So, this will provide data such as recommended Cost Per Click (CPC) and Competition. The CPC is the recommended amount you should spend per visitor click and the Competition indicates how hot that keyword is. Competition only has three levels, Low, Medium and High. The higher the CPC and Competition, the more valuable it is to companies and businesses. For example, our Sushi shop is a physical one and you want to get customers in using ads online. So you use Adwords and through the Keyword Planner you typed in the keyword “Sushi Restaurant”. The results come in and you see that the keyword “Sushi Restaurant” has low Competition with a CPC of RM3.99. Not bad but this combination is troublesome as Google thinks each click is RM3.99 but the low competition indicates the chance visitors will head to your shop is low. If you do go along with this Keyword, I predict high impressions but no one will have the intention of going since they are at the beginning of the conversion cycle, they are just curious at this point. So, taking a look at other ideas recommended by Google, we see results such as “Nearest Sushi Restaurant To Me”. It has a competition rating of Medium and the CPC or Recommended Bid is lower than that of the Keyword typed in. This is good, it means there’s a higher chance that this leads to a conversion, the visiting of your restaurant, and I’ll cost less than the default keyword. Using the “Nearest Sushi Restaurant To Me” keyword will attract visitors that are at the end stages of the conversion cycle. It means they are actively looking for a Sushi shop to go to, thus converting in the cycle if they go. So the key is to target Long-tail Keywords that have a higher chance of conversion at the expense of Impressions for sales. And aim for less focused keywords to get your brand out there with impressions at the cost of sales. Depends on what your goal is for your business. Just stay away from generic terms. For an extremely detailed breakdown of Long-tail Keywords, I recommend checking out Backlinko’s site to know more. Alternatively, we let the keywords dictate what we create and what would sell. All we need to do is look for “Hot” keywords, so to say. The concept is simple, say we operate a cookie company and we are interested in making more variants of cookies to sell. But we have no idea what’s popular and what is not to customers, more traditional methods such as surveys are costly on a large scale so it’s not an option. So what we can do is again, head to Keyword Planner. Entering in the item, in our case, “Cookie Flavour” into the product box, we can now find out what the most popular searches are through the “Competition” tab. Just click on the “Competition tab” until it is from High to Low ranking and there we go. The highest competition ones indicate massive popularity and therefore we can possibly resolve the decision around it. Only thing is it means a lot of other companies are probably competing with the same type of product. So if we use the example down below, we can see that the one flavour that pops up at the top is Oreos, and it has a high Competition rank, means its popular but there’s competition among other manufacturers trying to sell Oreo flavoured cookies. Alternatively, you can also check the “Average Monthly Searches”, again from high to low. This data might come in very handy, especially if the competition is low. This can be advantageous to us, as it tells us that visitors demands it but there no supply to fulfil it. This presents a chance to get ahead of the competition since its uncharted territories. But use your discretion when looking at the data, there could be a reason why no one is meeting the demand and the reasons are unlimited. Looking at the data I got, we can consider chocolate chip flavour since it has a fairly high number of users looking for it but with low competition. Means there is potential for a market right here. Butter cookies is not an option with competition being High, even if the monthly searches are very high. The market demand has most likely been met already, hence the high competition for the finite number of viewers. So do it right and you will have a fine look at what your potential customers want and your business will be able to anticipate and meet future demands quickly and efficiently through the keywords. What I mean in this case is this, say for example we reuse the sushi example, we create both our ad and our page to include a lot of “Sushi” and its variations. Now while this is not exactly wrong, it can be further expanded. We have to understand that while we might call it “Sushi”, some might call it by some other name. Other examples would often include “Uramaki” or “Sashimi” and so on. Different people, different names and terms used. So if say we only focused on “Sushi”, we would be missing out on viewers looking at the other types of keywords people might use like “Sashimi”. Now the recommendation that Google usually gives us is popular search phrases visitors use and is to help visitors narrow down what they want. So looking at some of the recommendations, we see additional words getting tacked onto the original “Sushi”. 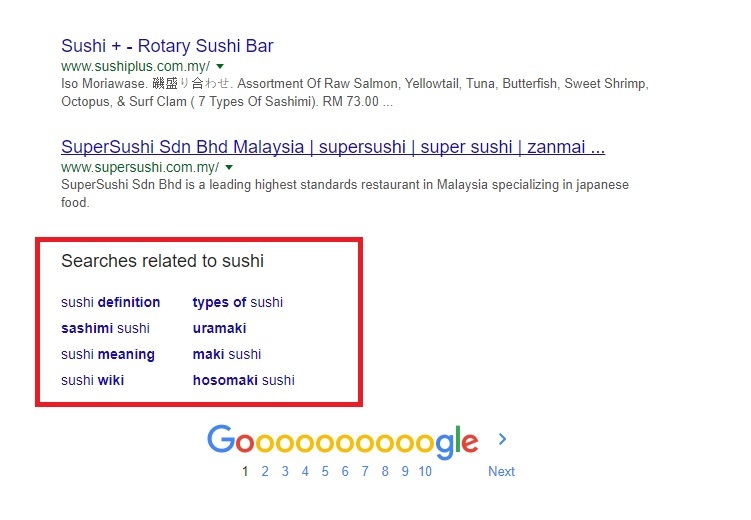 Words such as “Sashimi” or “Maki” are pretty useful for pages because now Google organic search results will provide a higher listing as a wider net has been cast. Same thing for ads as a wider spectrum of visitors will now see the ad when searching for more obscure terms. And if what you’re looking for doesn’t provide a list of recommendation, use sites like LSI Graph, these give suggestions and wider variations that would definitely come in handy. In conclusion, finding keywords to strategically sell your products, whether online or offline, is not difficult. Targeting and converting your customers and visitors to buy your stuff is not particularly difficult. And finding out what potential visitors and customers want is pretty easy. All of this is doable when you have the willpower to sift through all that data that Google Analytics and Adwords has in store. The trick is to find patterns and correlation within the data and to act on it strategically. Experiment with your keywords until you are satisfied with the results or your ROI on advertisements. And lastly, don’t take keyword research for granted like so many businesses and companies have done out there.Learn from them and their mistakes. There is value to keyword research and only you can unlock its potential.